Good find, given that (a) it wasn't a CTA site, and (2) I thought that Claypool let the PowerPoint staff go. You actually believe there's nobody at CTA who knows how to make a PowerPoint presentation? Probably not. However, this was more of a comment that apparently the Todd Stroger clone (ironic isn't it) who now runs the CTA doesn't feel compelled to report to the public, and maybe not even to the Board, although Kruesi (pdf of a word processing document), Huberman (famous for PowerPoint) and Rodriguez (used it to burnish his resume, and apparently got a new job as a result) apparently felt a duty in that regard. It as also a veiled reference to Claypool claiming that he significantly cut management, including half of the PR staff, but he still has a Vice President, Communications, who makes $150,000 a year. If the Vice President, Communications were doing her job, as radical an imposition on the passengers as some posters state here would not be left on the level of rumor. So, I did bring it back to the topic. Good consideration. I thought the same thing at first and then realized: What if the (1/2) Green-Loop trains used the Outside Loop? It would make ALL outbound Green-Harlem/Lake consists available starting at Adams/Wabash. For inbound passengers: 1) board a Green-Loop now and either ride it around to the Wabash/Lake side, 2) Board now and transfer at Ashland/Lake or Clinton/Lake for the next Green line OR Pink line train, 3) Wait for the next train to go direct to the Lake/Wabash side. They could always interline the Pink and Green lines. When a Green approaches from the west that would turn at the loop at Clinton it could become a Pink line. And the Pink could do the opposite, but be ran on the outer loop. Doing turns at 13th middle would probably work on the weekend/non rush weekdays, but may be harder to accomplish during the rush. As far as the 13th street portal and incline, it would need probably need some maintenance to be functional for the constant demand of Red line service. As far as bus service the #21 Cermak could start serving the Halsted/Orange line. Is there really that much ridership between Halsted and Canal on Cermak anyway? At the south end running shuttles between 55th/Green line and 95th/Red line would make the most sense. This way they could tap into all the service between the Green and Red line versus 3/4 at Ashland/63rd. But it would probably be less disruptive if the project was cut in half maybe do a 55th to Roosevelt segment and then do a 55th to 95th segment. One thing that's not clicking is how did this go from a three year project to 5- month thing to a year? (1) Basically this is rumor, and (2) based on page 19 of the pdf to which you provided a link, this hasn't even reached the design stage timepost yet. I would think that until it is designed, it can't be loaded into Microsoft Project (or whatever they use these days), and until it can be loaded, interim milestones and a completion date cannot be calculated. Of course, this also assumes that one can figure out the abbreviations on that page, as I previously mentioned. I assume that the only official report is the monthly Construction Report, and the February 2012 one doesn't have this project on it, yet. They could always interline the Pink and Green lines. When a Green approaches from the west that would turn at the loop at Clinton it could become a Pink line. And the Pink could do the opposite, but be ran on the outer loop. I'm not sure what that would accomplish, other than confusing the heck out of everybody, and creating a crew scheduling nightmare. Doing turns at 13th middle would probably work on the weekend/non rush weekdays, but may be harder to accomplish during the rush. Why? It's not like the Green Line runs every 3 minutes or anything. I'm not sure what the best headway is, but if it's 7.5 minutes, then you'd have a train going into 13th every 15 minutes. Even at 6 minutes, your frequency of use would be every 12, that would give plenty of time for the operator to change ends and pull out before the next one arrived. As far as the 13th street portal and incline, it would need probably need some maintenance to be functional for the constant demand of Red line service. All tracks need maintenance. I don't think the incline would need any more maintenance to run regular Red Line service than any other part of the Red Line that currently runs regular Red Line service. As far as bus service the #21 Cermak could start serving the Halsted/Orange line. Is there really that much ridership between Halsted and Canal on Cermak anyway? I don't think the issue is how much ridership there is at the one or two stops between Canal and Halsted but rather whether the inconvenience for through riders caused by the diversion is greater or less than the added benefit of offering a new connection to the Orange Line. Wouldn't it make sense to add more service on 1 or the 24, supplement the 29, or have to do some kind of 23/38 hybrid Express when the Green Line went kaput for two years? (4) Shuttle buses can become a major pain in the arse (see: Blue Line reconstruction back during the NABI era). It wouldn't really be that confusing. The roll curtains change at Clinton anyway, the stops served would be the same. Both lines run basically the same schedule. What may be confusing would be to send every other pink and green train on it's regular routing, but it wouldn't be a problem the rider is concerned with. As far as 13th middle, your forgetting a little thing called the Orange line which runs about every 10 minutes along with a green line train every 10 minutes vs. 20 minutes if the trains turn at the loop. It not like your going to whip into 13th middle and out, there will be delays. Trains would have to checked at Roosevelt the new terminus. The operator would have to switch ends on a 6 car train. If anyone gets slightly delayed on route it messes up the flow delaying everyone else. Delay enough and you delay the entire loop elevated!! That's why I say maybe in the off peak. The 13th incline would definitely need the weed train. I saw some weeds down there not to long ago. The ties would need inspection, it's been abandoned since 1993, that's alot of rain and snow. The tracks would have to be checked. Switches checked, 3rd rail put back into use. Just a light overhaul. As far as the #21, if the Cermak-Chinatown stop is temporarily shut that gives that bus no rail line to access on it's eastern side. Halsted/Orange is a good alternative versus sending buses to roosevelt/Green/Red. They wouldn't lose too much time if the #21 traveled Cermak-Halsted-Archer-Cermak east and west over the regular route. Between Canal and Halsted is industrial, I would think they would get more riders on Archer. Of course adding(and closely monitoring) North-South routes would make sense, possibly modifying others(like running 8A straight into Halsted/63rd while the Red is on those tracks), although I think your first point would take precedence over those routes by just using the Green(Temp Red) line during the project. Sorry, don't quite know about routes 23 and 38. The bus fleet is going to be taxed south of 63rd to get people from the far south side and Pace routed suburbs to the temporarily re-routed Red Line. Certainly CTA will have to, and it would be in Pace's best interests to as well, here's why: When the Green was shut down for reconstruction, many people left it and didn't come back. From the south, many stayed on Red or other buses, from Oak Park, many switched to Metra and never came back to CTA, Metra kept the added stops there during rush hour(previous express). During the Brown reconstruction(which impacted Purple and Red's schedule), many switched over to Metra's UP North line and didn't come back. Ravenswood is Metra's busiest non-downtown stop on that line now. I agree that shuttle buses(soley) would be difficult to do, perhaps not feasible at rush hours, due to the transfers at 95th. It wouldn't make sense to have full buses pull into 95th with an empty shuttle waiting, and wait for loaded buses to transfer all passengers: the space taken by that type of transfer would now require more bus stall space at the already overcrowded 95th terminal(which probably can't handle more buses at rush anyway), and in the time to make the transfer, the original bus could have made a quick stop for bus connections and kept going north on State. Perhaps the 95th terminal buses running north to Garfield, plus some shuttles at rush hour and overnight could pick up passengers on State at 87th, 79th, and 69th. If not all the routes, then just the routes that pull into 95th fully loaded would be temporarily extended to continue northbound as well as pick up passengers at Garfield-Green(Temp Red) for a single transfer back. I think you're getting routes mixed up when you say #129. Are you thinking of the 359 by chance? (1) I for one have a feeling that some people east of the Dan Ryan might switch to the Lake Shore corridor for an alternative just as the LaSalle/Michigan Express routes up north handled the Brown Line project. (2) There was a route I kinda thought of for a while that would revive the X4 in a way but combine it with the #2. It would run down Cottage like the X4 up to 60th where it would use the #2's routing therefore making a one-seat ride (many people to Cottage Grove to UofC to switch to the #2) and not requiring that many more drivers. (3) Maybe have every other #29 run as a limited stop bus during the construction since it already mostly follows the Red Line on that segment. Thank you, 359 is correct. I have no idea why I typed 129(more than once). 23 and 38 were the Green Line replacement routes that stopped at every Green Line Station. 1994-96. While 8A going to 63rd makes the most sense, I can't say the same for the other routes. People will have to use the Red Line, after the fact. The same deal occurred when the first reconstruction was done in the last decade. People switched to the RI, Green, and LSD to make their connections because of the delays. The Red won't suffer the same fate as the green, mainly because of the need South of 63rd. And the need and analogy of the Brown to the UP-N is moot. Of course, when the construction occurs over the bridges, there will be a switch (if it happens). If you need to use 95 to make your connections, fine. You don't need to extend the service further north, and especially with 352 and 353 and 381, that will tax the schedule (especially if your headways are 10-15 minutes). Extending a route 6 miles round trip, despite the good intentions, seems unnecessary (and definitely if you don't have the funds to make that trip). So not expanding service that already exists isn't a good idea? Supposing a shutdown of the Ryan portion of the Red would actually happen, I believe it should be done in two stages. During the busy summer season, run all Red Line trains to 63rd and shuttle buses from there to 95th. During the 2nd phase, run shuttle trains from 95th to 69th and shuttle buses from there to 63rd/Halsted to join up with Red Line trains being detoured via Green Line. To me, a complete shutdown of the south end of the Red Line is asking Rahm to not seek re-election. There are scant few parts of the city that don't have alternate service to get them downtown, and the far south side is one of those parts, along with the far northwest side. I suppose you could count Metra as an option, but if it were really a viable option, I think more people would be taking it now. Metra could encourage some people along the local stops between 75th and 115th IF it were to make the entire stretch a Zone B, but then would they have the equipment to handle any increased loads. The off peak frequency midday along that portion currently is 2 hrs, as it is on the Blue Island branch that the locals are assigned to during that time. I don't think the RI could handle the additional load either, and Metra wouldn't dare lower fares on RI. 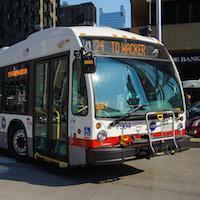 Busjack mentioned finding equipment to run shuttle buses in the event of a Dan Ryan rebuild. Actually there may be some still sitting at Archer garage that haven't made it to the scrap heap yet. How many, I don't know. But until we see any official announcement for CTA, this is just speculation. Not possible now that some Flxibles have moved on to non-revenue service with the Ironworkers, Fresh Food Market and soon CFD. Can you imagine the confusion from the passengers who just want to jump on the first available bus that comes down their route? If you put the Flxibles in service again(presuming any still exist), you're going to have passengers banging on the doors of a stopped bus demanding to be let on so they can get to their destination. Remember the "X" routes? How many times I boarded a X80 and had passengers yelling at the driver to let them off at stops like Kedzie(local) & Sacramento(local)? I'm not sure where you are getting that (underlined) from this, except for the 2013 date. Now, of course, if the Ministry of Disinformation had said there would be a shutdown, there probably wouldn't, and also this missive starts off with the misleading ride numbers, which are unlinked trips, not fares. She didn't say that either, although she said "boardings." Do you think that 2 years from now they are going to post a press release that ridership was down 20 million because they had to close down 7% of the rapid transit system, based on the Jan ridership report current year YTD entries Dan Ryan 1.29 million/systemwide 17.9 million? Probably more than that since there are not any cross platform transfer points on the Dan Ryan? Of course, if ridership increased to pre-1991 levels despite having cut bus service 20% and train service 9% in 2010 (as well as the 1997 cuts), either CTA was running a lot of unnecessary service, people are really packing in, people are making a lot of estimated transfers, or that too is fantasy, as I indicated above. Mostly I was referring to the 2013 date but I can somewhat see shutdowns on weekends at least. Also I'd imagine that there would have to be a prolonged shut down of some sort seeing as they are going DEEP under the ground and Ballast to fix the drains. Not trying to be an expert or anything but it seems like that. I still don't understand where it says that service the Dan Ryan Branch will be suspended during construction? Is there a source that confirms this? Nope. Even the person who started it here admitted as much. I'm not aware of any official CTA publication or announcement that confirms or announces the plan to shut down the Dan Ryan branch from 95th to just south of Roosevelt. But frankly, that's the point. They have decided to do this and are keeping the plan quiet for now. Apparently they haven't even let elected officials and community/religious leaders in the area know about the plan, or let the riding public (their customers) know. By the time it is announced, it will be final. My information comes via a city hall source who was briefed on the plan by a CTA official. Is this incontrovertible proof? Of course not and I don't claim that it is. half of the Green line trains from Harlem will terminate after serving the Loop and will return to Harlem. The other Greenline trains will continue to operate south to Cottage Grove. bus shuttles will be provided from Garfield green station (not Ashland Green as I previously misstated) to 63rd, 69th, 79, 87th, and 95th Red. there will be other additional bus service. Sam92 posted a new link to a March CTA board report that indicated for the first time that Dan Ryan construction would begin in 2013. He had previously posted a link to an older presentation that indicated that construction would occur during 2012 and 2013. Is the new report proof that my information is correct? Again, no, but until CTA makes an explicit announcement to the customers who will be affected by this project, we will probably be looking for clues like this to support or refute this information. To me, what is more interesting than the specific details is why CTA has developed this plan without community or aldermanic input. I expect they will want to know about a project that will affect their communities so significantly. Let me get my opinion out, and move on. Rodriguez admitted that Huberman had kept attempts to deal with the FTA about the NABIs secret until one broke. Also, the Emanuel Administration has a strange idea of transparency (and make no mistake, Rahm thinks that that CTA is part of his administration). However, the administration would have to be complete fools to think, as you seem to posit, that they will dump this on the community as a fait accompli and not get any pushback from the preachers or any other activist that can get on the 4:30 a.m. to 10 p.m. TV News. Heck, there was enough stink over the Metra Zone B fare increase and proposed one track on the UPN line to get those decisions modified. What do you think will happen when every aldercreature, preacher, and transit activist from Roosevelt Road to 138th St gets word of this? As far as administration sources, I doubt that you are Bill Cameron, Charles Thomas, Mike Flannery, Craig Dellimore, Jon Hilkevitch, or a similar City Hall or transit reporter, or this would have been on the news. Otherwise, I don't know or care to know who you are, but I'm sure someone in the Emanuel Administration knows who you or your source is. So, either give us the who, where, when, and why, or we should just ignore you. The Red Line is a super busy, 24/7 line. Rather than run Shuttle Buses that will force the CTA to OT Bus Operators to run an all-night service plus pay for the extra Diesel Fuel to keep those buses fueled, or Rail Operators from the Green Line running OT since they are picking up the slack of the shut down Red Line many are proposing will happen. My thought is that this project will be similar to the "Countdown To A New Brown" that was completed a few years ago. Rail service will continue, but be slower or single track in the pockets where the rails and ties are being replaced. Once before the Brown Line renovation began, there was talk of shutting it down totally for rebuild, but with how busy the line is, that was impossible. The same is true for the Red, even more so. What they could is have some extra buses running at peak times on areas that serve the Red Line to transport passengers faster. They'll still be able to complete the project on time doing it this way. The renovation is track renovation on the Dan Ryan Branch only. That can be done using one of the options I outlined above. Based on the link, construction will be done on the south end entirely in 2013. While one could interpret that the line would be completely shut down for 5 months, that depends on a lot. First, that would be a hard sell politically. Second, we don't know the exact scope of the construction, which involves track, and not stations. If a complete shutdown is/were true, I would expect a leak to that effect shortly. That can't stay secret. I'll add my two cents in to say even the CTA isn't that stupid to shut down, as pointed out by several others here, a crazily busy 24 hr section of rail service completely for reconstruction. As already said where the heck are you going to get the extra buses to replace and/or supplement that level of service when the bus fleet has been decreased close to 300 buses without replacement? And Emanuel may project this tough guy mayoral persona that may have some thinking that he doesn't seem to realize he's accountable to voting taxpayers, but again as pointed out he does want to get reelected in 2015 and a total shutdown of the Red Line that's just thrust upon the public close enough to whatever supposed date of shutdown that there is no turning back from it because the wheels would be already be in motion equals instant voting out of office. Remember this is the city that voted out a mayor because it was virtually impossible to move around due to a massive snowstorm which no one had any type of power over unless they have some power of deity. So what do you think would happen to Emanuel's election prospects in 2015 if a whole huge section of the city and those commuting in from nearby southern suburbs get hit with a 5 month transit nightmare from this supposed shutdown and details of up are indeed being kept on the hush hush as the person who even started up this discussion implies? Lastly I'm puzzled that so many are sucked into this particular discussion with their own imagined scenarios of what this shutdown could look like, given what references I saw of Red Line Dan Ryan construction only refers to track construction with nothing no mentions to station rebuilds. Those from what I can see are reserved for the stations discussed further up in this thread as part of the same Red Line renewal project that's referenced in the PowerPoint that Sam found. Basically from what I can tell of the renewal plan in that PowerPoint, the main crux of the work would be that the north end will see the station remodels as already spoken of in the newspapers and tv news outlets and the south end will see track construction to eliminate the slow zones of that end all to be worked on this year and next. There's further mention of substation reconstruction and a total reconstruction of the Wilson stop that are to last into 2015 along with yet another Environmental Impact Study into extending the south end. How that translates into the Dan Ryan portion is getting shutdown I don't know.